Are you flying to hotter locations? Perhaps you’re also looking for an aircraft which can be converted depending on the number of passenger seats you’d like to place, plus your cargo. All these can be reaped by hopping aboard the Antonov 32. This 50 seat aircraft also has customized features for its passengers’ utmost enjoyment. These include a galley which has small appliances and compartments to store your food and beverages. 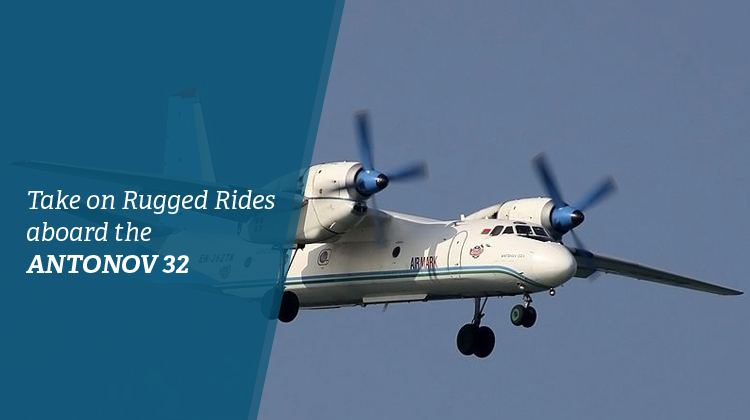 Since its first flight in 1976, the Antonov 32 has had its share of performance and interior upgrades. Depending on the operator you’ll be flying with, the An 32 comes with passenger seats which can be reclined plus tables. These tables can double as work stations and refreshment areas where you can relish your snacks. If you’re flying on a business trip, hopping aboard the An 32’s interiors means you can use its tables to place your laptop on. Confirm the availability of WiFi connections, and you can stay on top of your documents, emails and presentations while flying. To fully experience the benefits which the An 32 can bring you, be sure to inquire about its interior specifications with your operator. Know more about your prospective plane’s exact features and schedule your very own, private flight today. Did you know this 50-seater has a flexible layout? This means your operator has adjusted its seats and luggage compartments, to meet the various purposes of the plane’s passengers. Should you need to fly the aircraft to transfer business cargo (i.e. shop paraphernalia, products), you may consider the best layout arrangements with the operator. The Antonov 32 was also made with a lavatory at the cabin’s rear end to ensure comfort among passengers. If you’re travelling for business purposes, the An 32 can take you to regional conferences. It has a sturdy ride and can carry all the materials you’ll need, if for instance you’re setting up a shop in the conference. Event managers can even seize the convenience this plane can offer since they can bring their booths and other set up materials in flight. This definitely lessens the need for you to keep booking for freight services, since you can bring along your business’s essentials on the An 32. The same spaciousness and flexibility on stable rides can equally be enjoyable for leisurely travelers who’ll need to bring their hobby related equipment in flight. 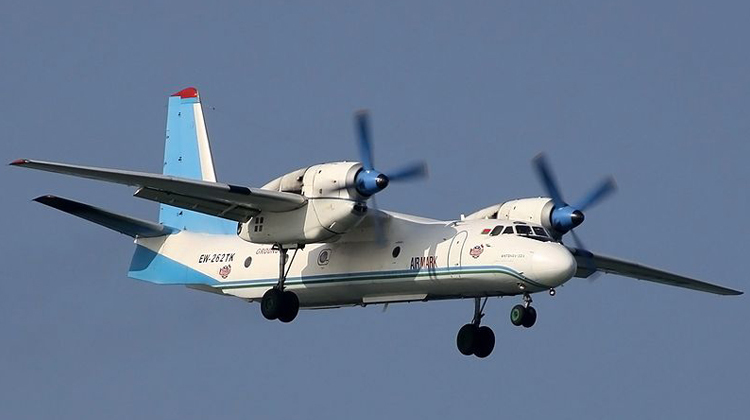 Designed by Antonov State Company and manufactured by the Antonov’s Production Plant Aviant, the An 32 embarked on its first flight during 1976. It has over 370 planes being flown around the world, and this two turbo prop powered aircraft has about 11 variants to fit different applications. A marine patrol variant even gathered its inspirational design from the An 32. Roughly 20 countries are also using the An 32 as part of their military fleet.